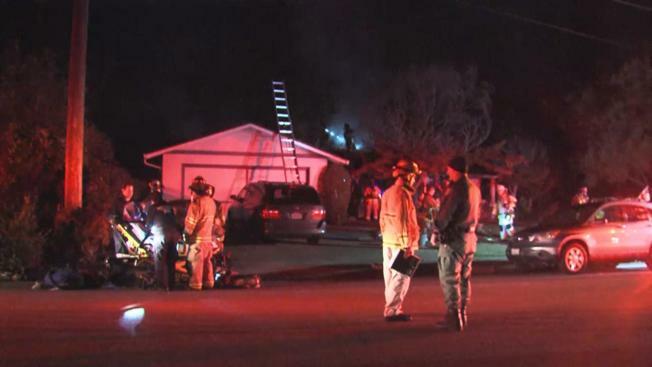 Three people were injured, one critically, in a house fire in Saratoga on Sunday night, according to the Santa Clara County Fire Department. Fire crews were dispatched to the 12000 block of Plymouth Drive a little before 8:30 p.m. and found smoke coming from a single-story home, fire spokesman Bill Murphy said. Three people suffered injuries in the fire and were transported to the hospital. One of the victims had life-threatening injuries, Murphy said. One of the victims had to be rescued from the home, and the others were outside when firefighters arrived, Murphy said. The fire caused extensive damage to the interior and the attic. Firefighters had the blaze under control just before 9 p.m., Murphy said. Santa Clara County sheriff's deputies also were on the scene. The cause of the fire was not known and is under investigation, Murphy said.